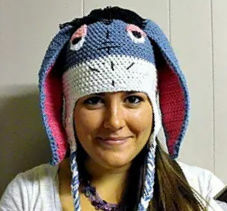 My own version and pattern of the inspired Eeyore Hat. It was a challenge to completebut well worth the effort. I am very pleased with how this Hat turned out and fit.